Fabulous Updated unit with ELEVATOR inside unit to bring you to the second floor. 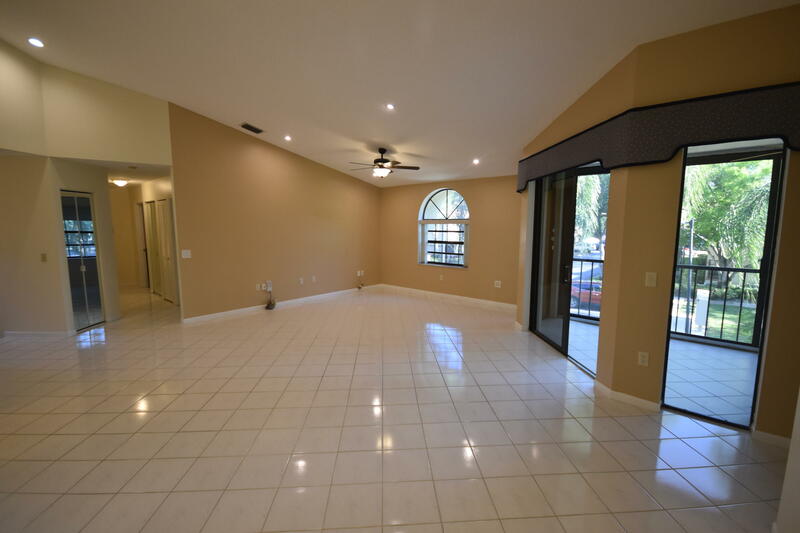 Updated kitchen, bathrooms and amazing vaulted ceilings in the main living area and the master bedroom. 3rd bedroom has a built in armoire. A/C new in 2018. This unit is very clean and ready to move in. Nice Views of the Green area and canal in the distance. Platina features a 24 hour guard gated entry, active clubhouse with cafe, tennis, pool and so much more.